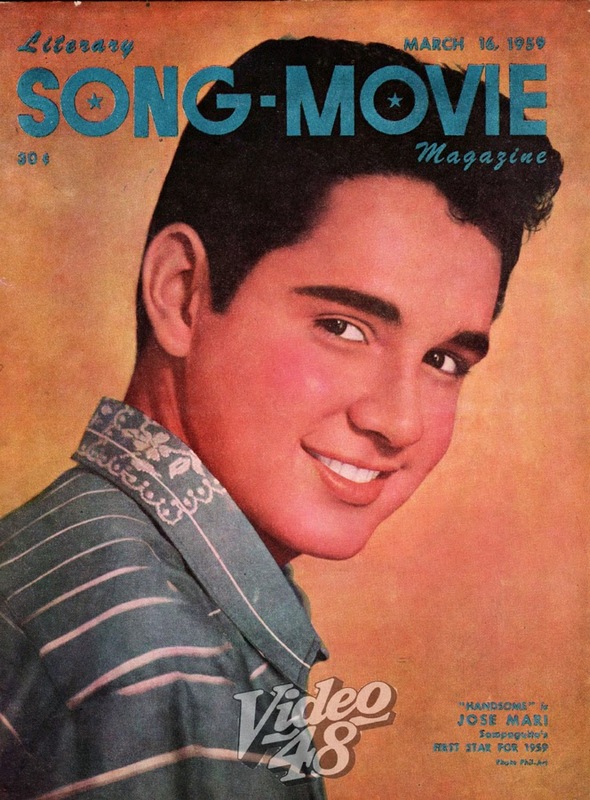 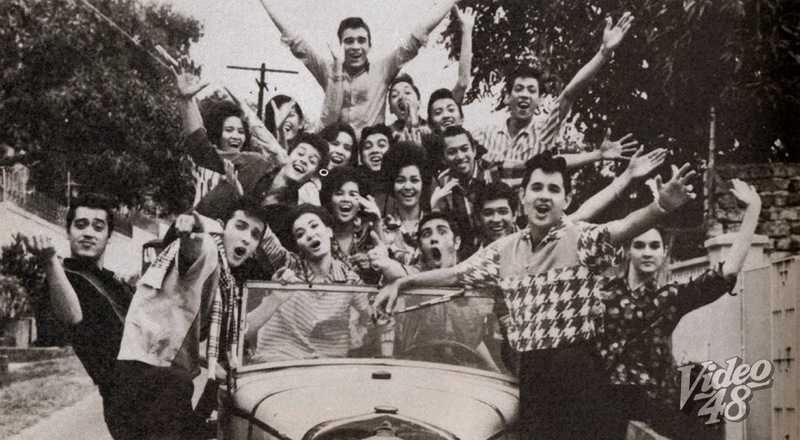 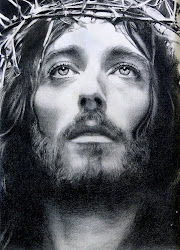 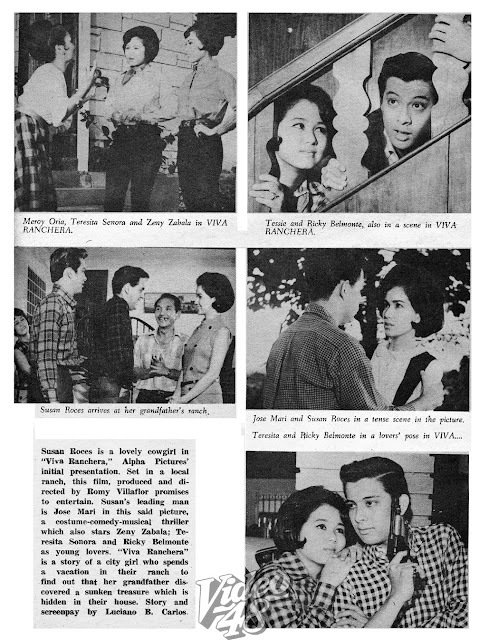 50s and 60s matinee idol, Jose Mari (Jose Mari Gonzales in real life) passed away last April 16 (2019) due to pneumonia and cardiac arrest. 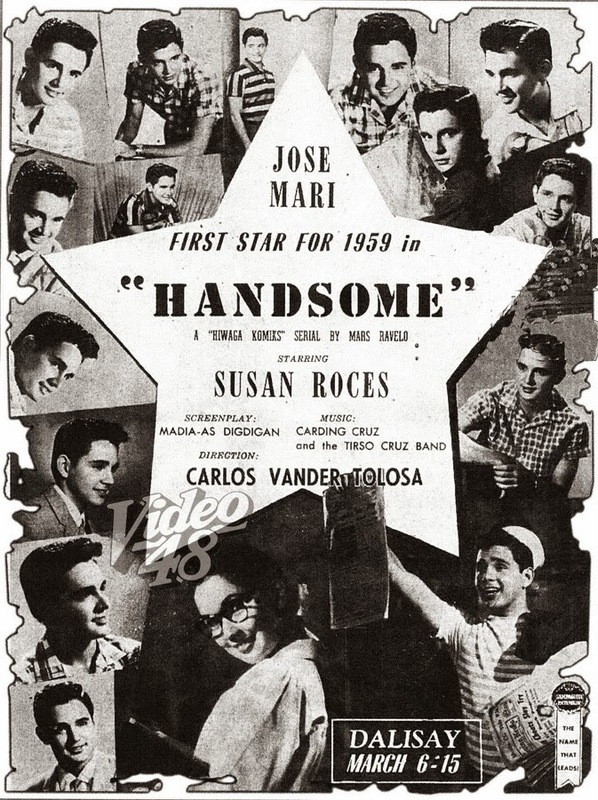 He was 80 years old. 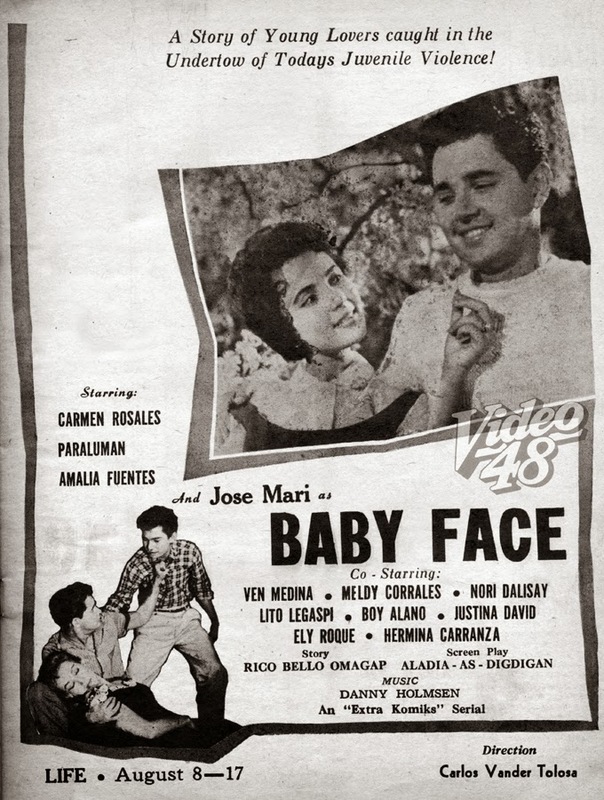 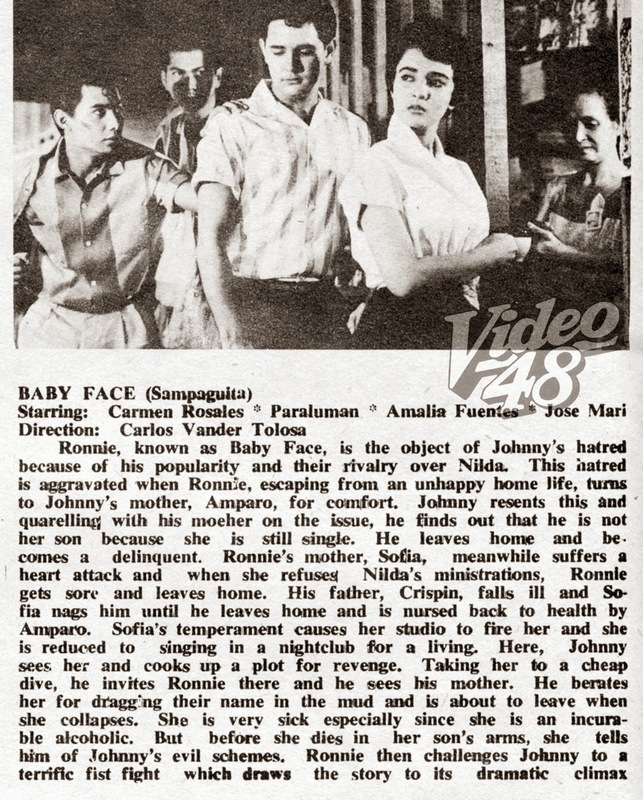 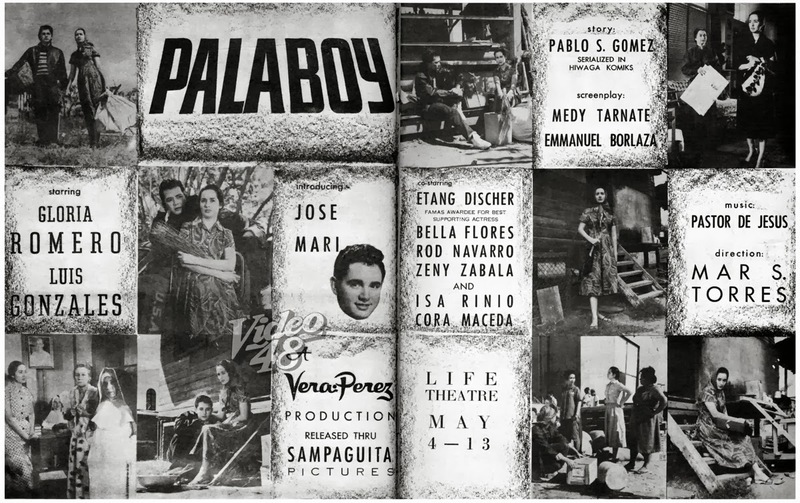 He started his movie career in 1958 in Sampaguita Pictures' "Palaboy," and was given his biggest breaks and full stardom in "Handsome" and "Baby Face," both released in 1959. 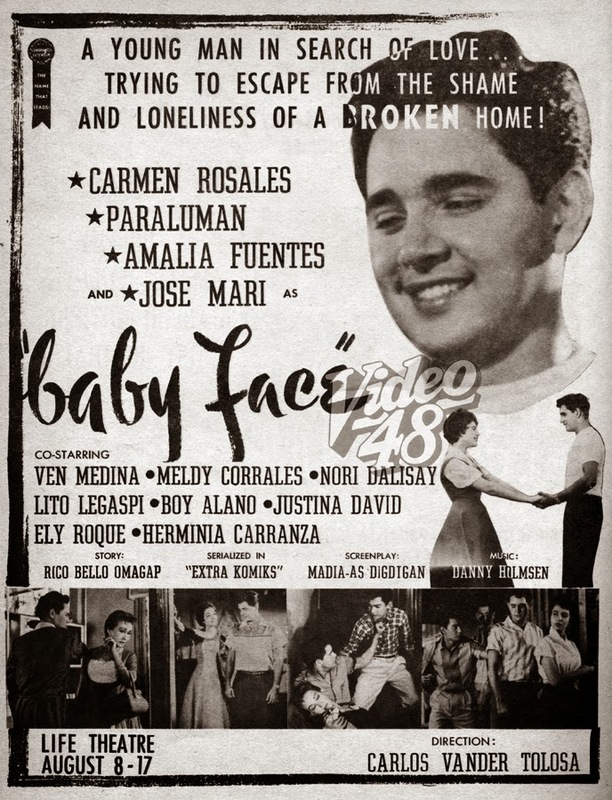 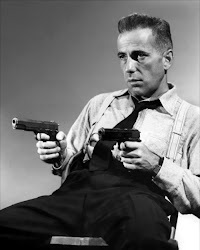 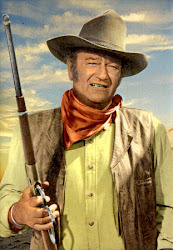 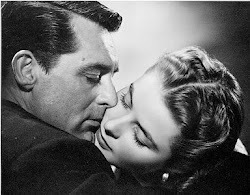 From then on, there's no turning back for this young man as he appeared in countless movies, averaging from 4 to 7 films a year. 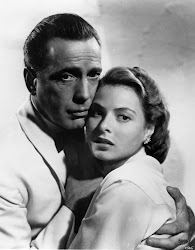 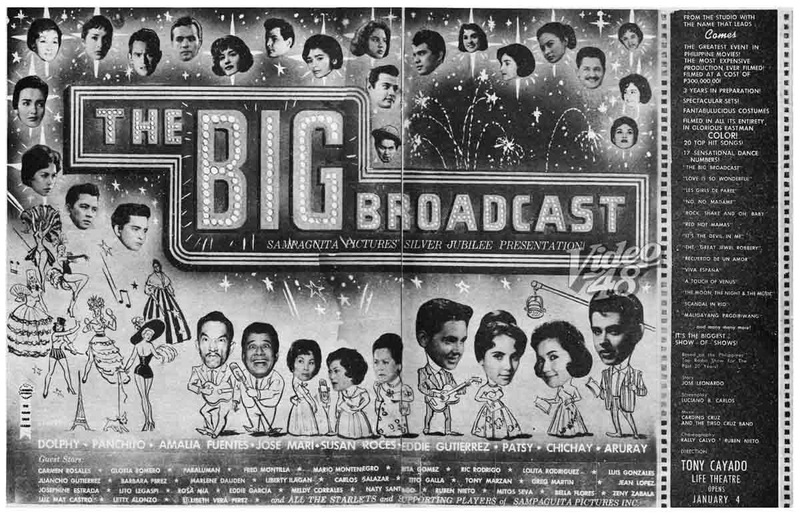 He retired early from showbiz, in the late 60s to concentrate on a business venture... he established the then state-of-the art Cinema Audio recording studio. 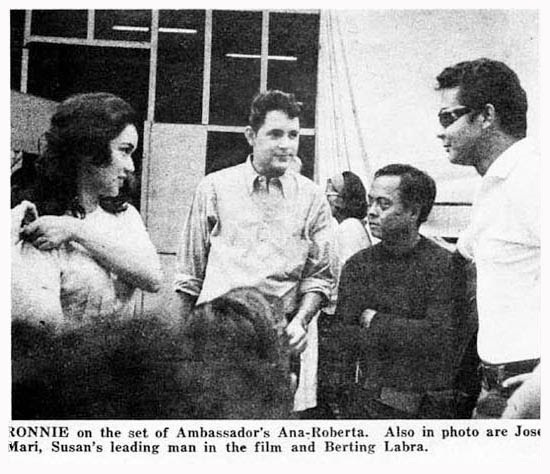 He also entered politics. 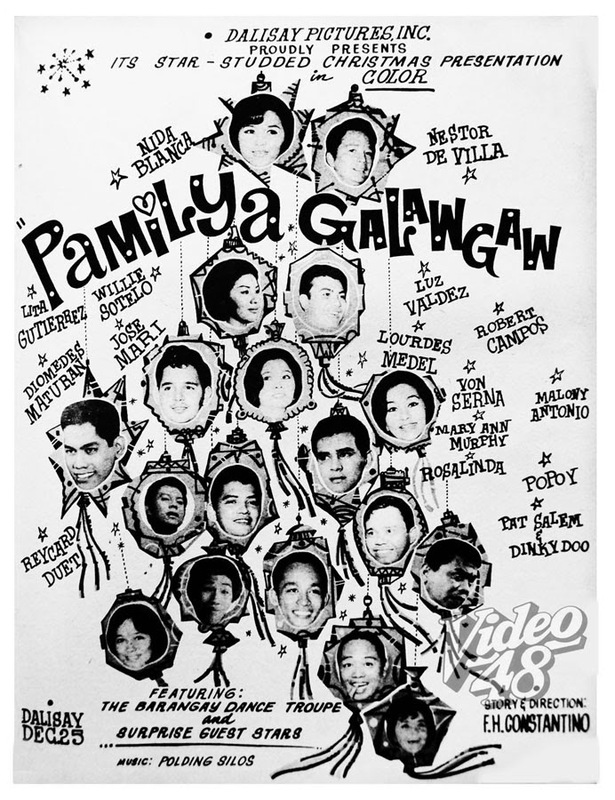 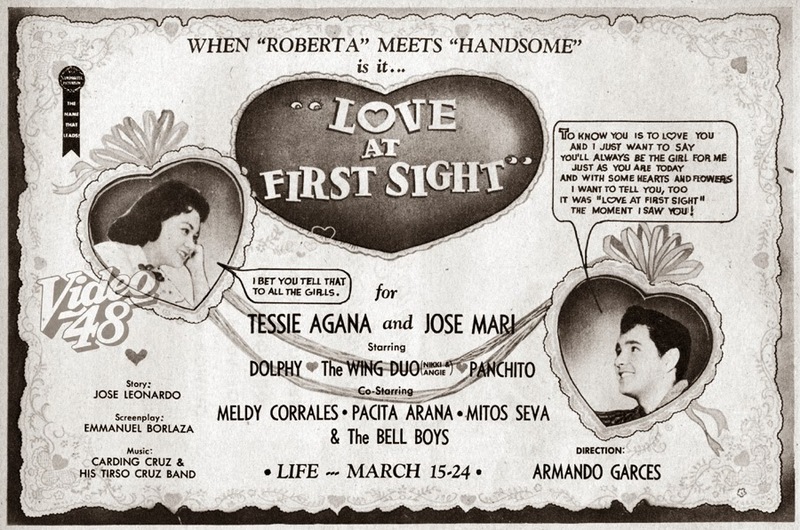 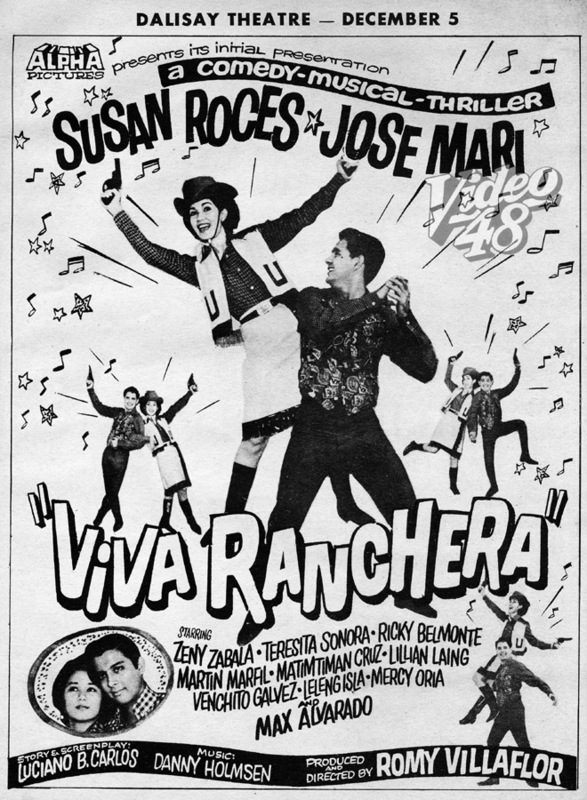 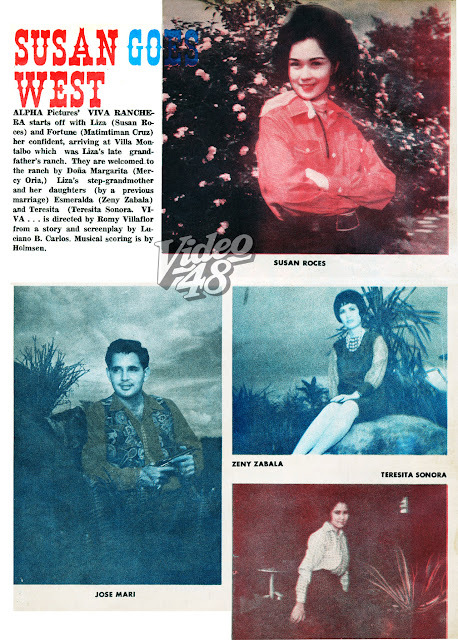 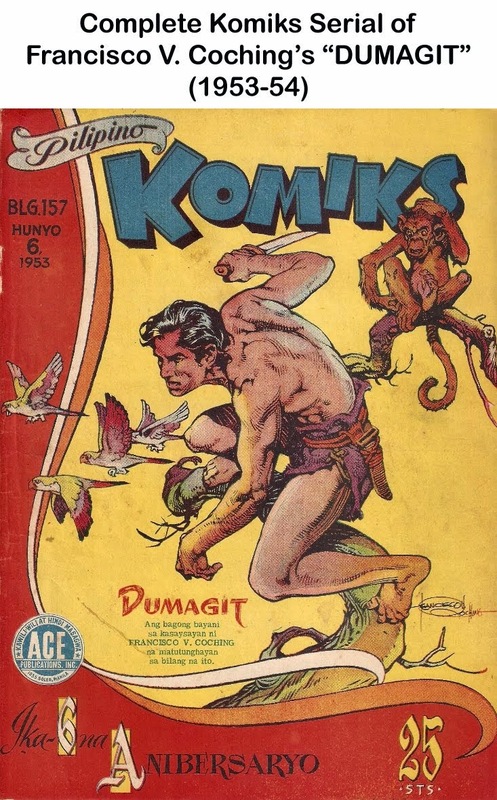 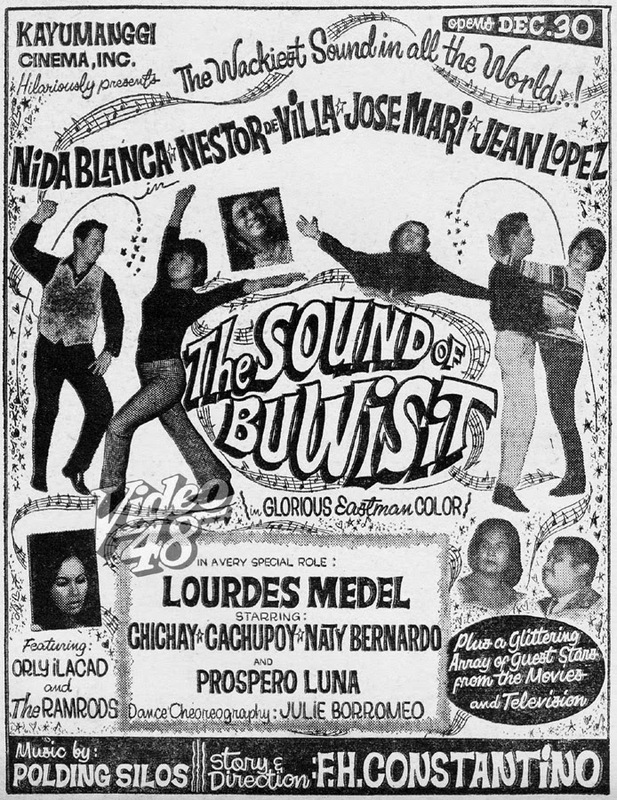 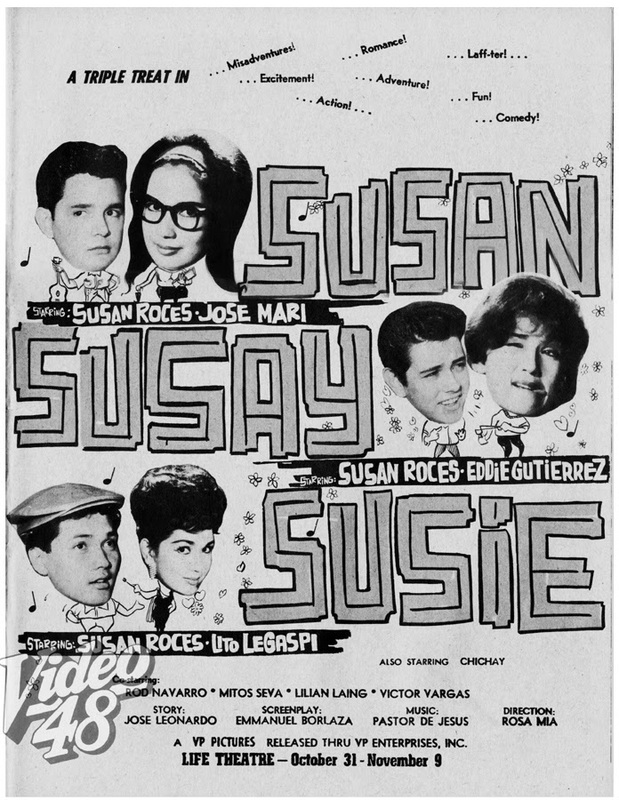 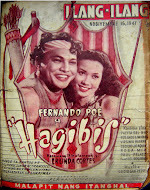 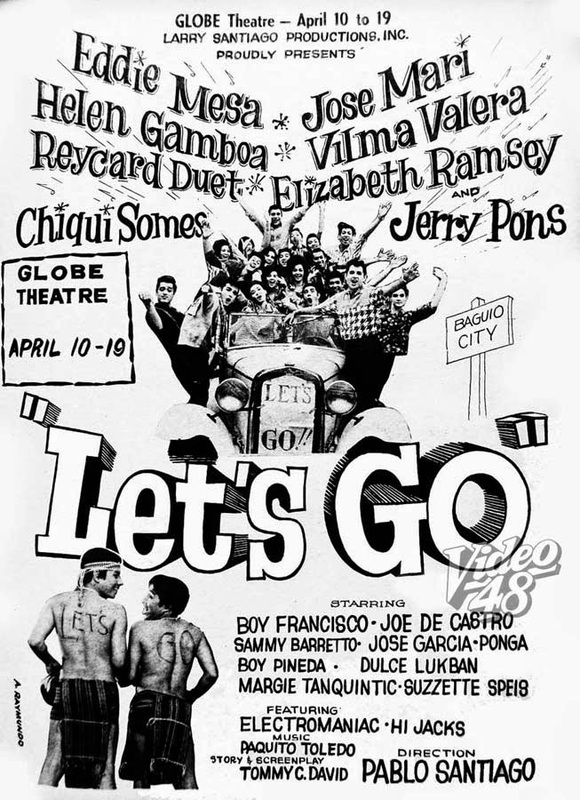 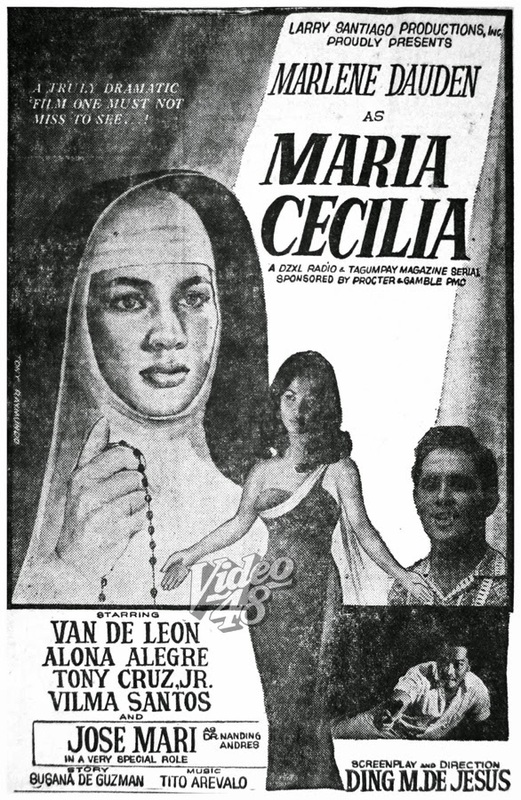 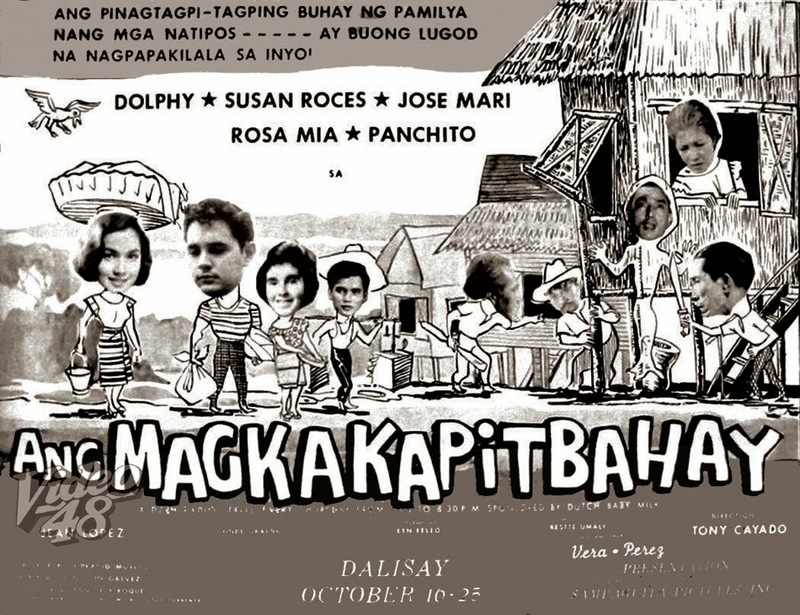 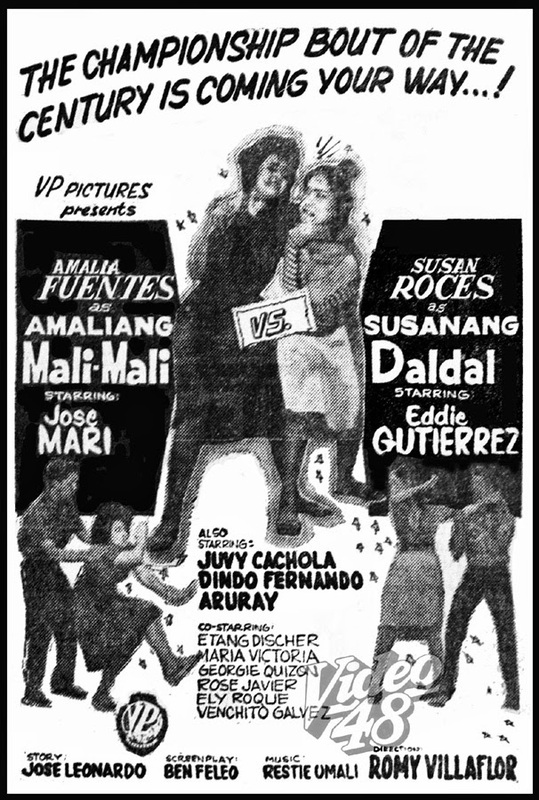 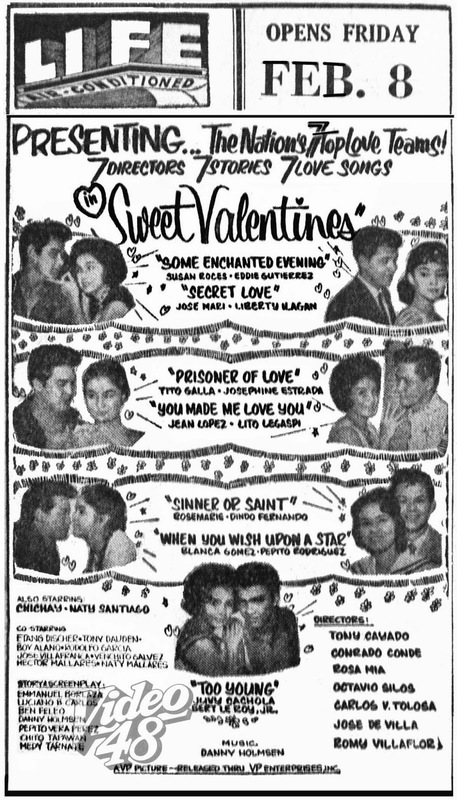 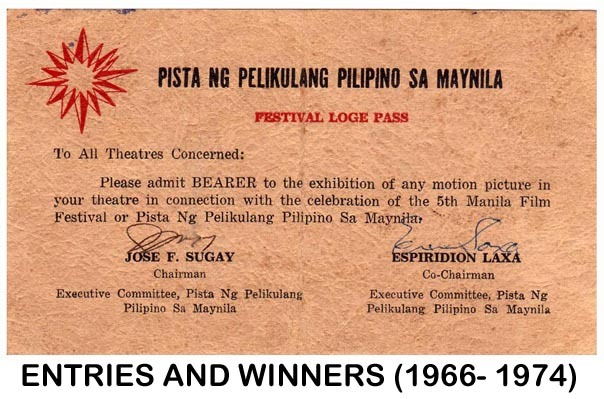 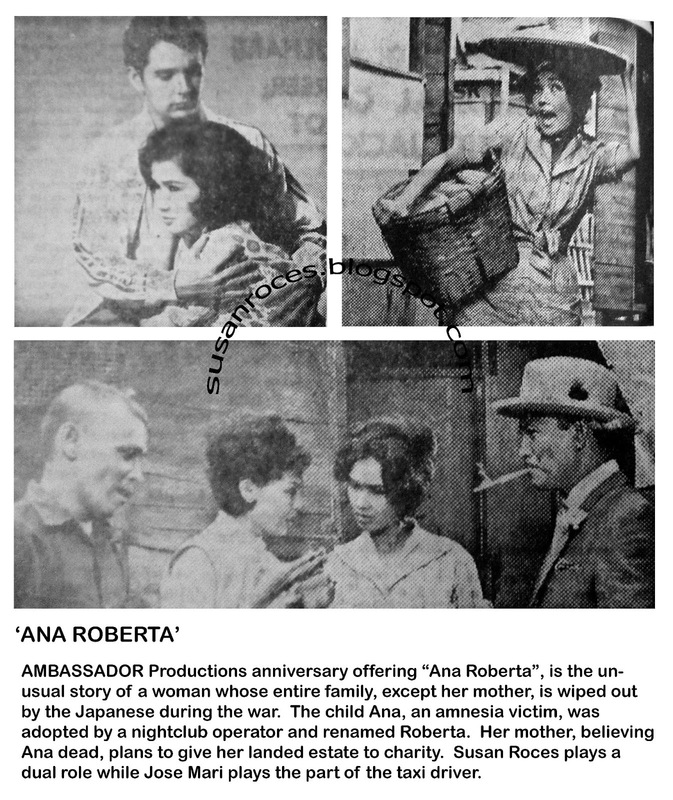 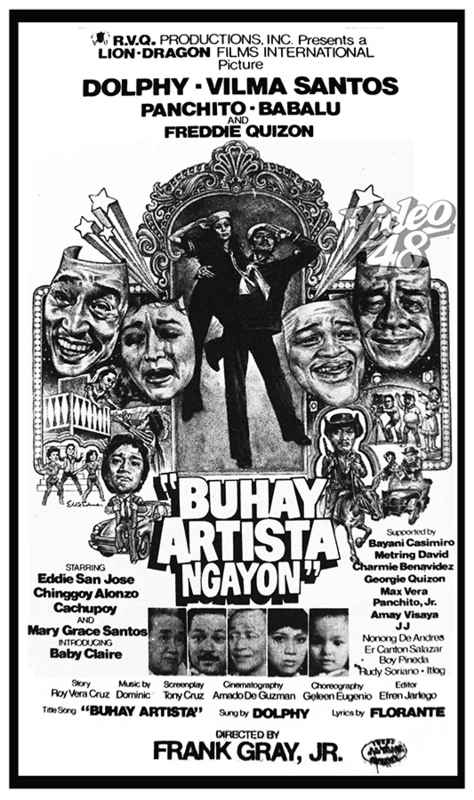 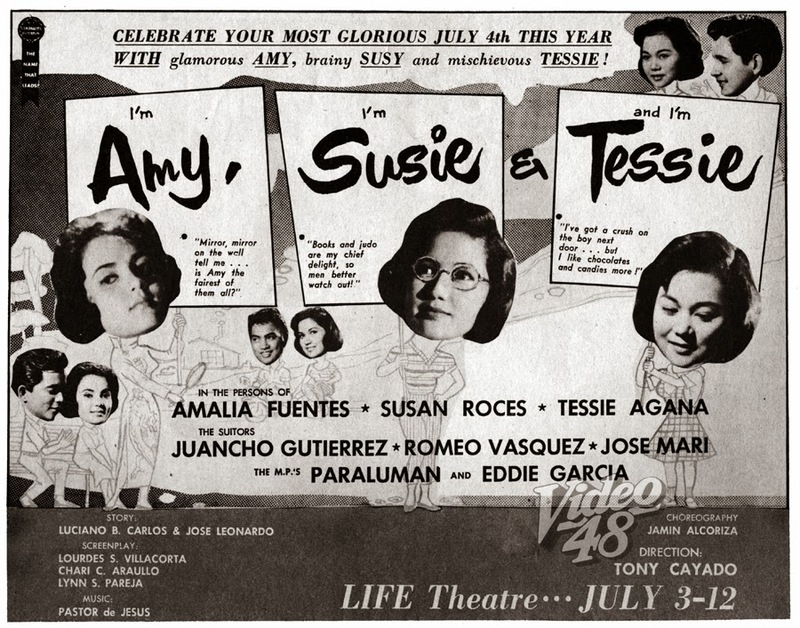 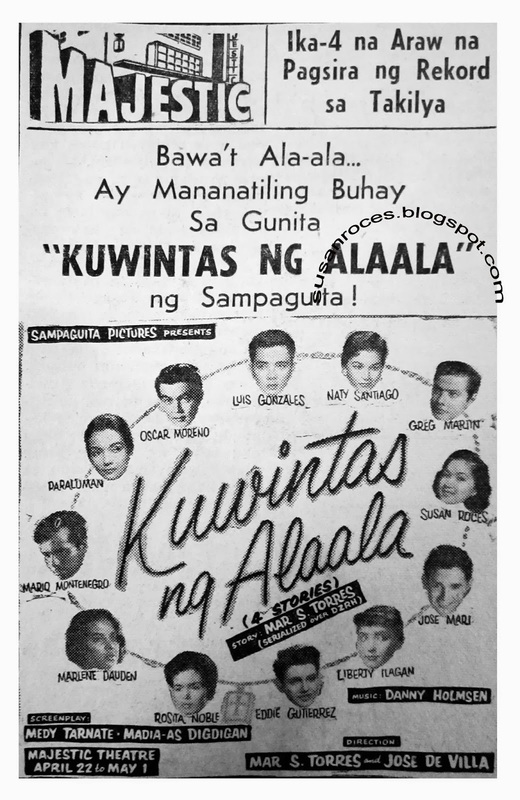 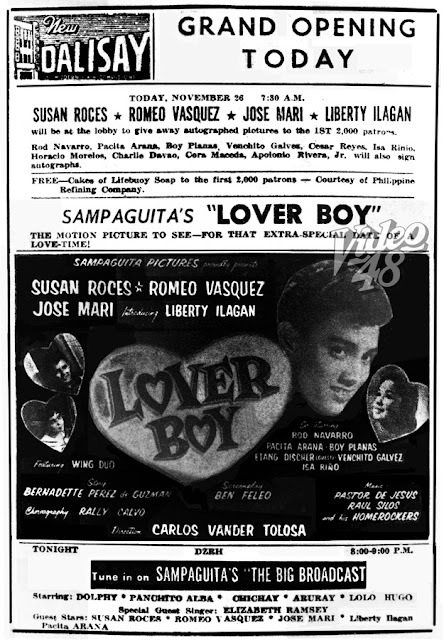 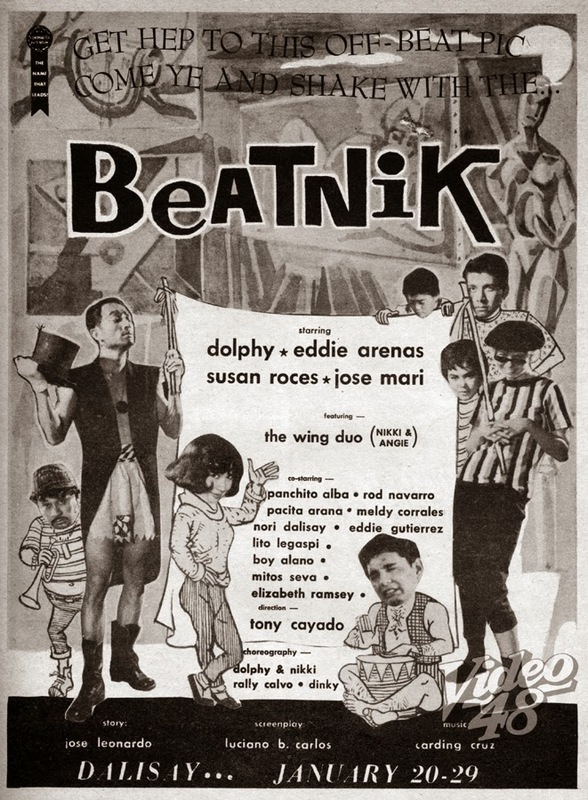 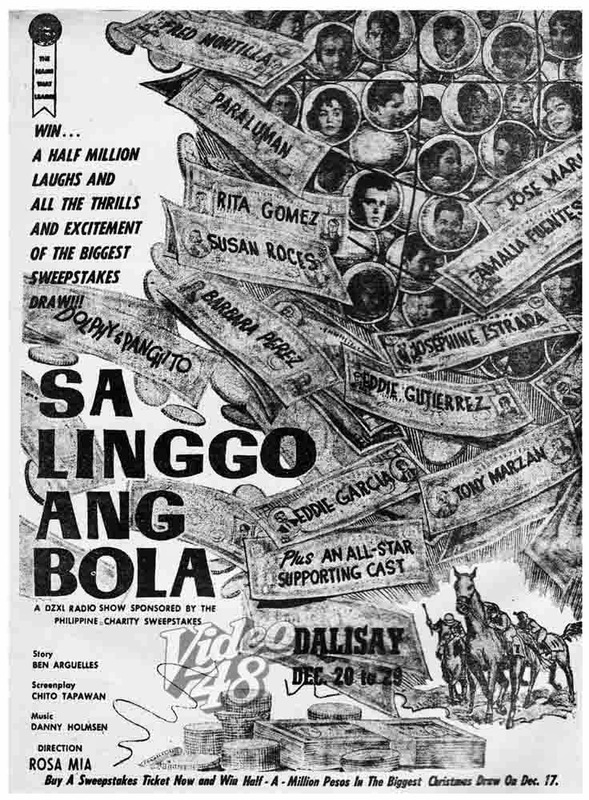 Released thru Sampaguita Pictures, Inc.
Did you know that comedy legend Chiquito did one movie with Sampaguita Pictures? 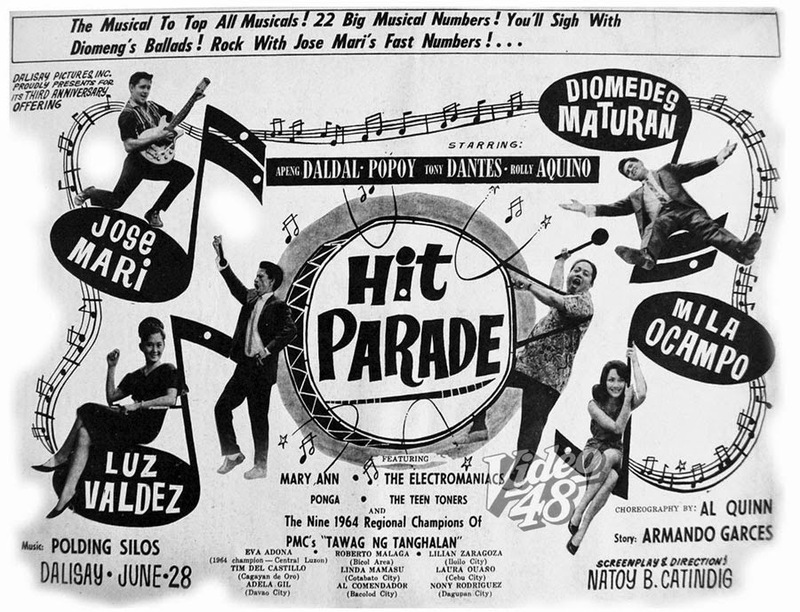 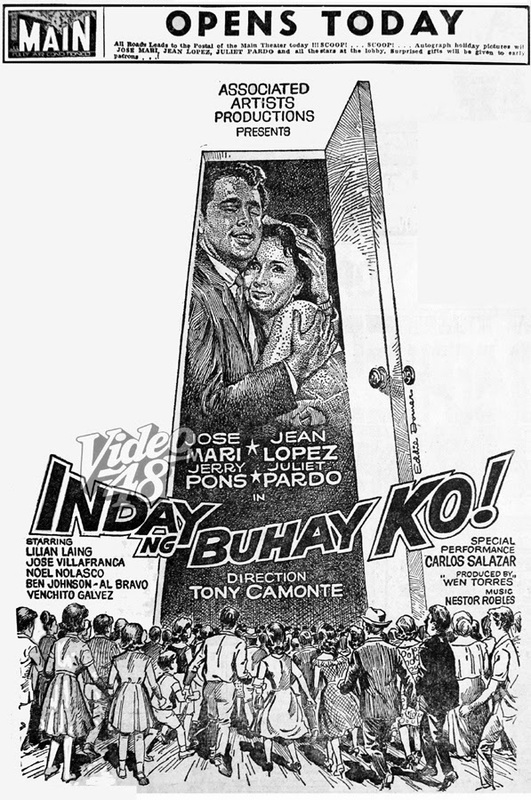 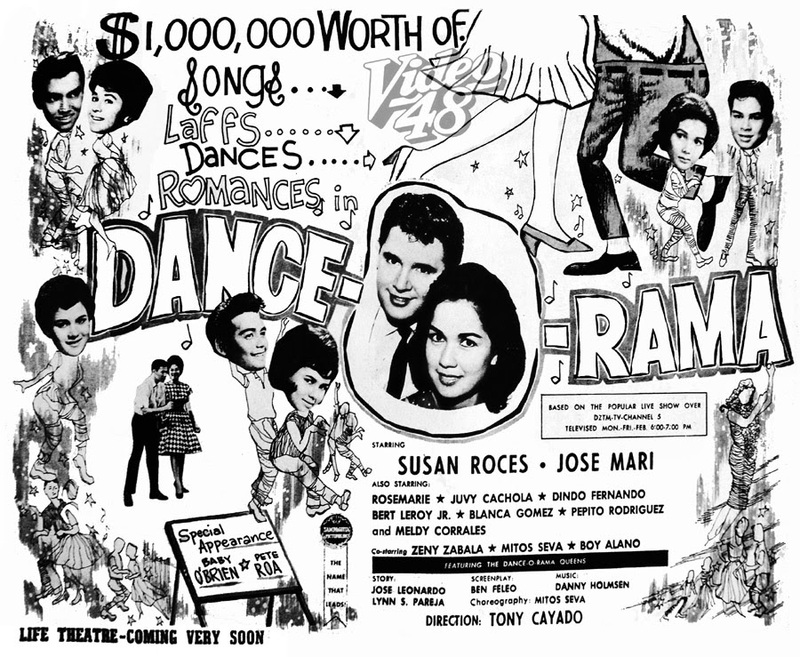 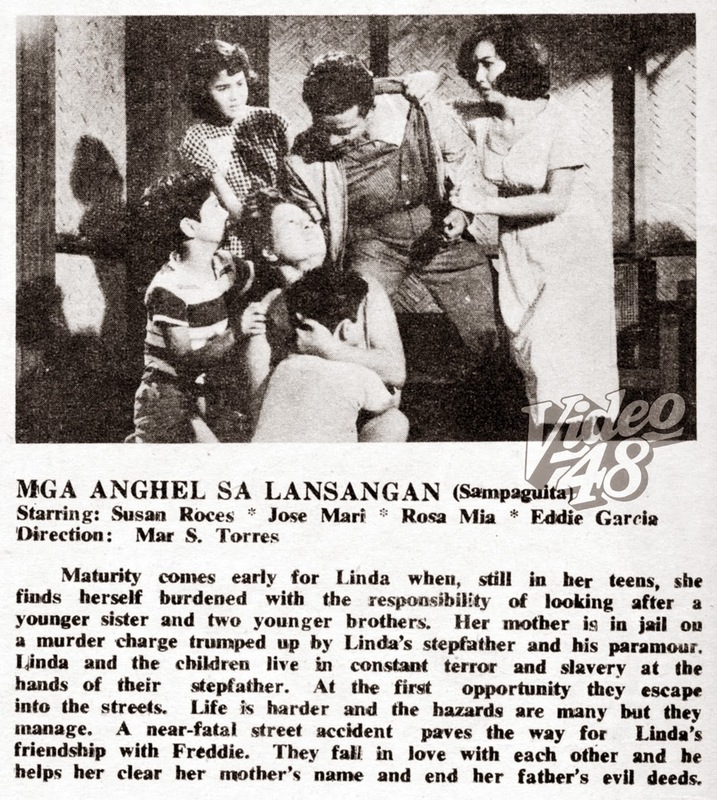 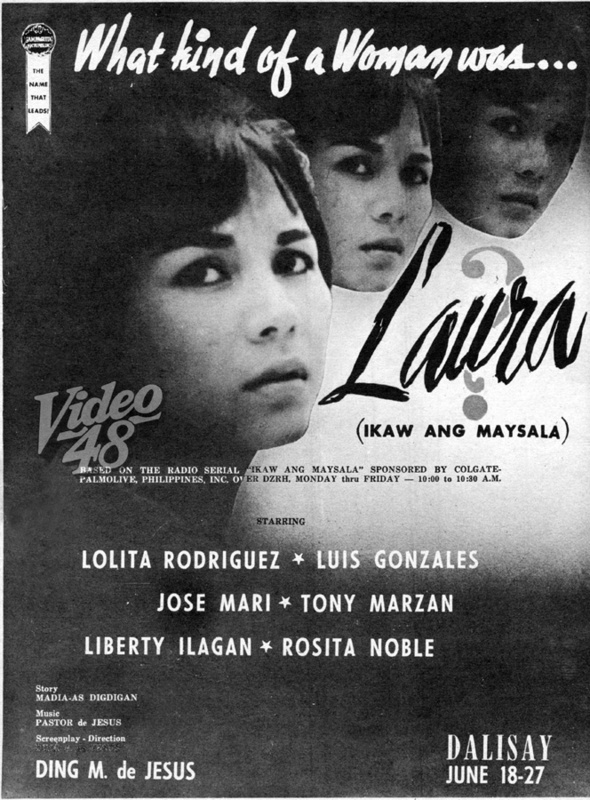 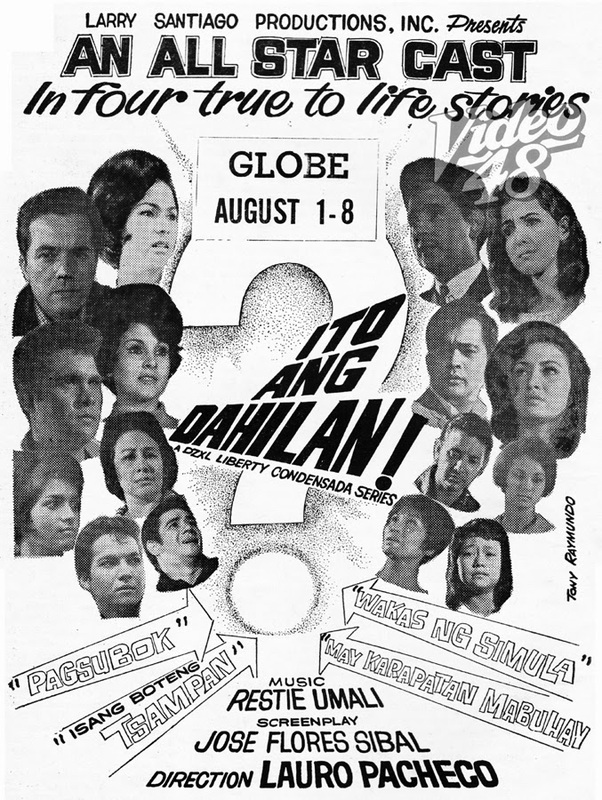 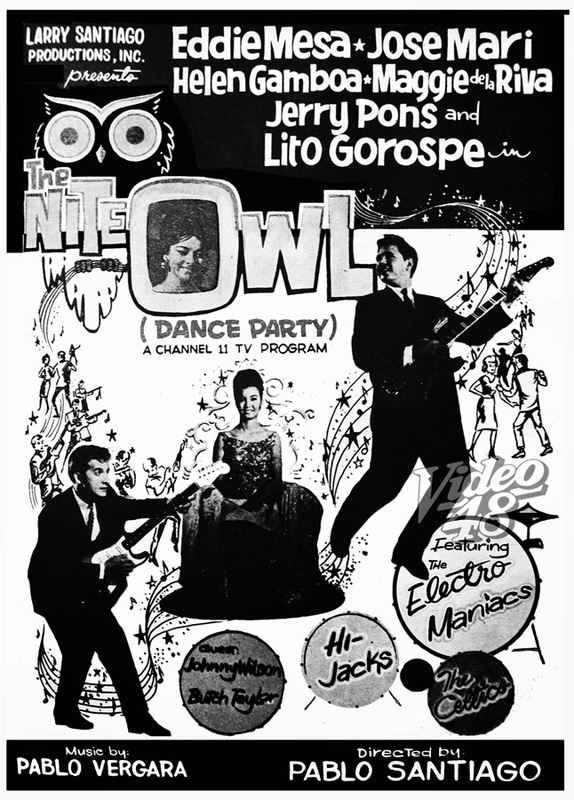 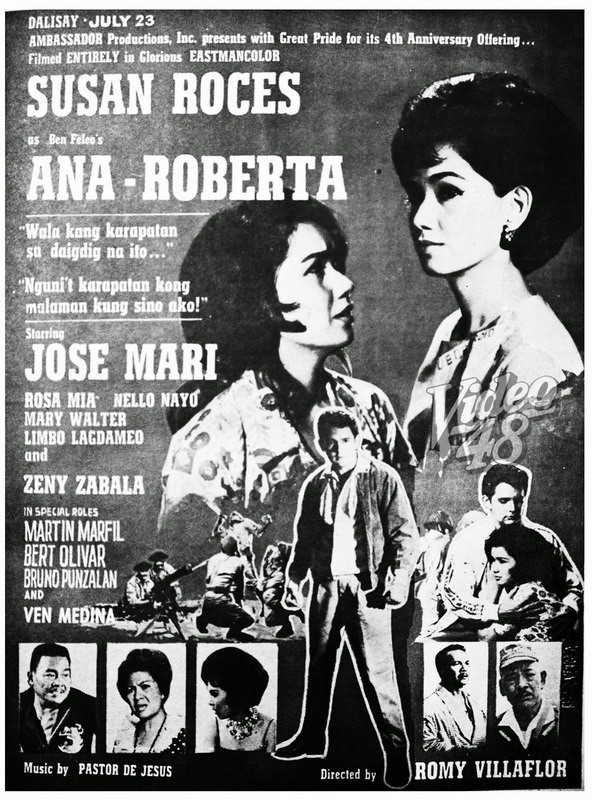 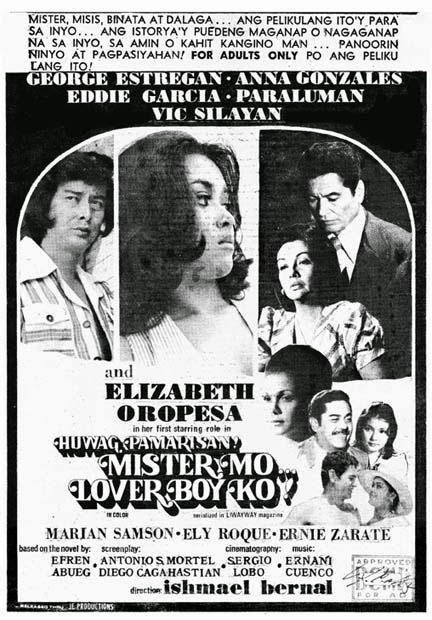 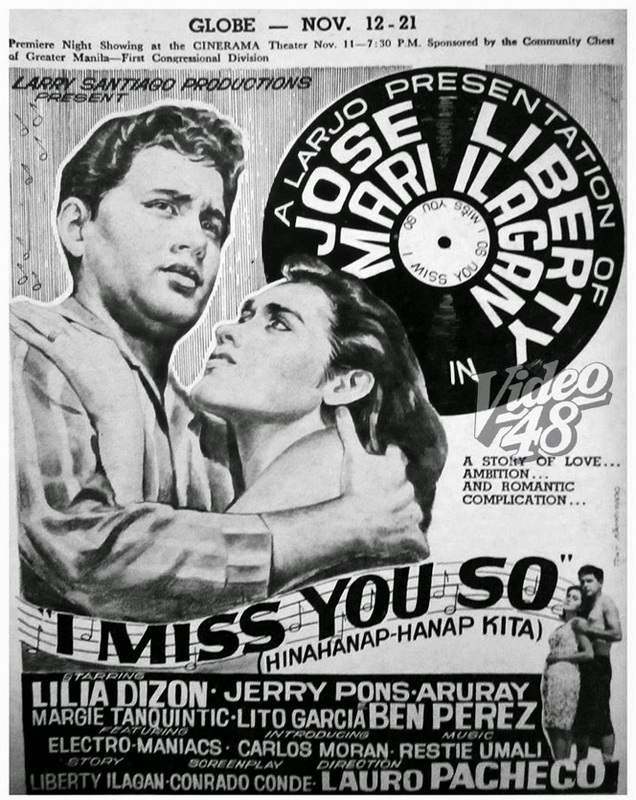 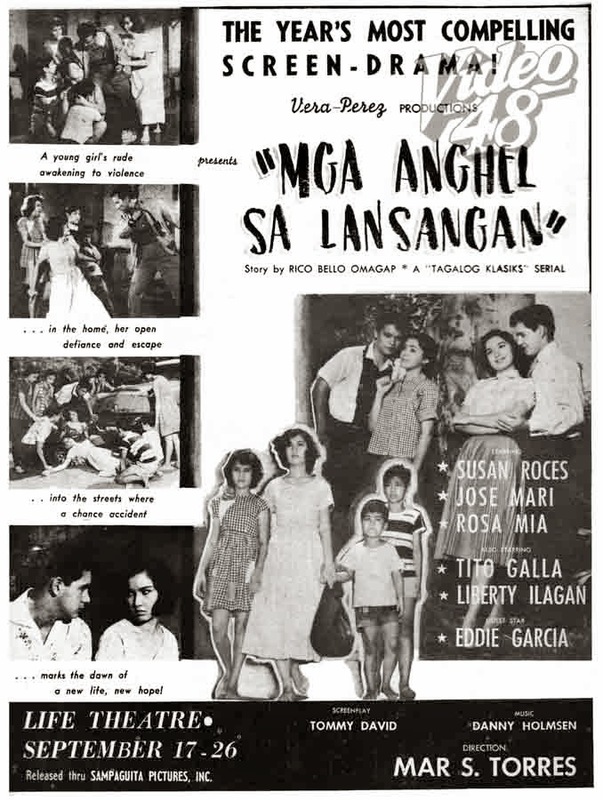 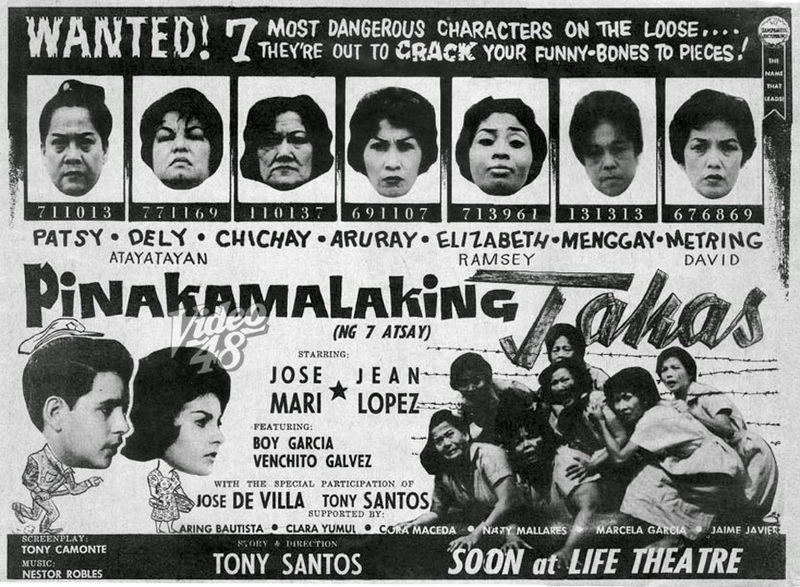 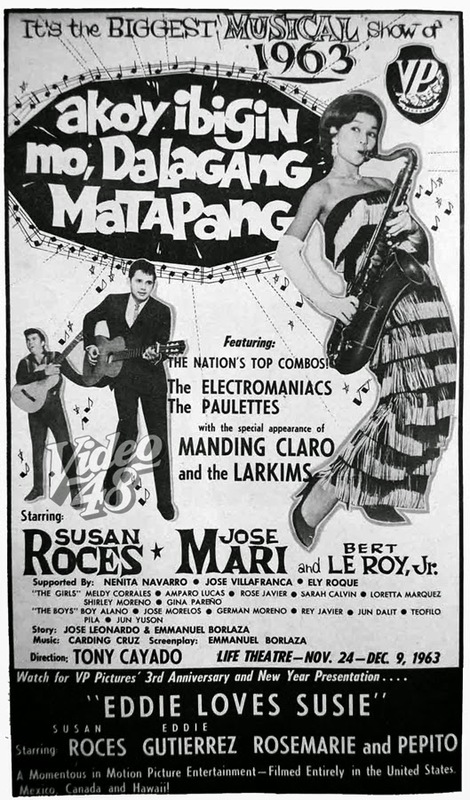 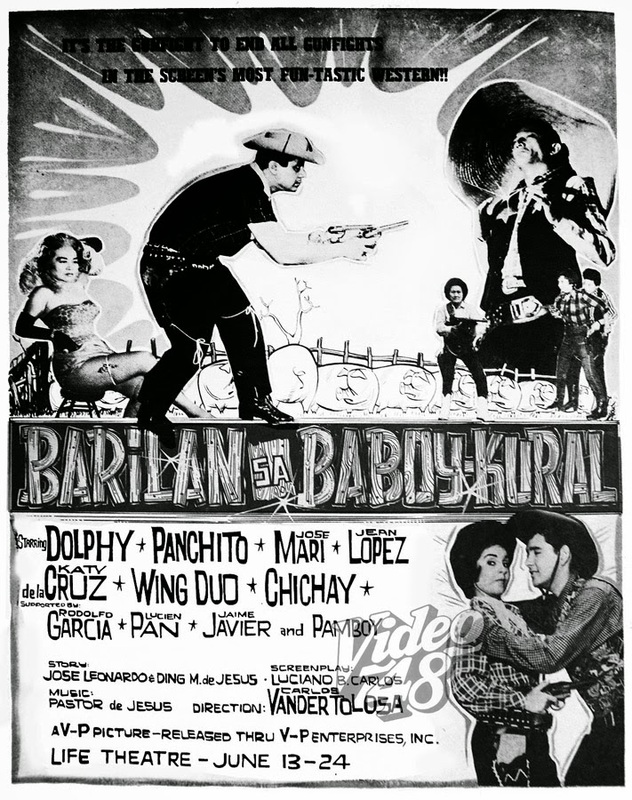 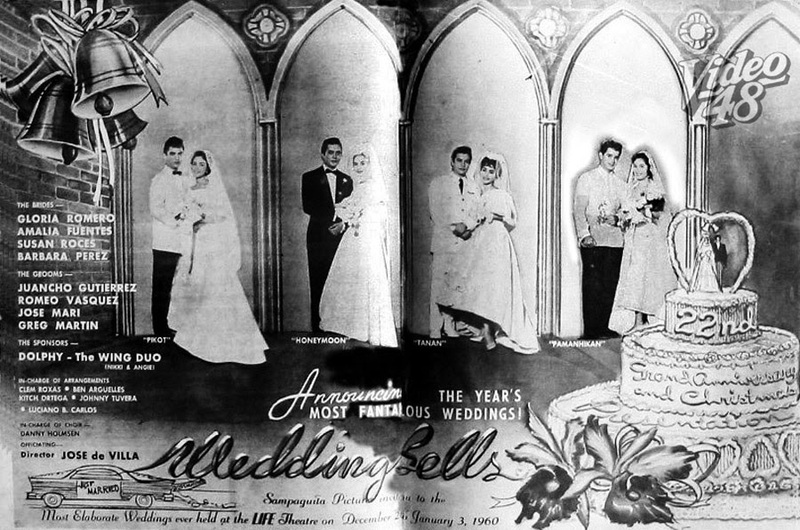 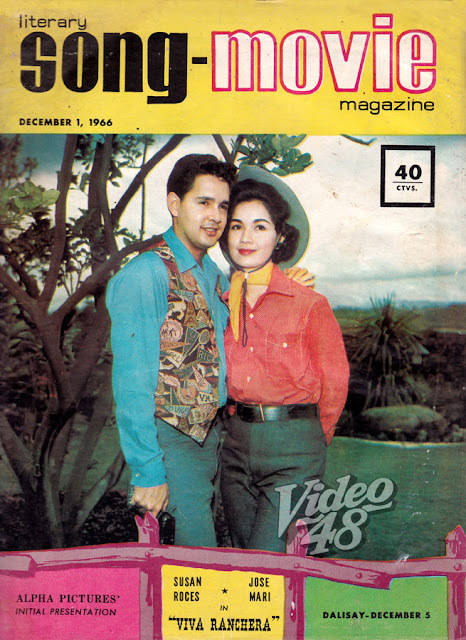 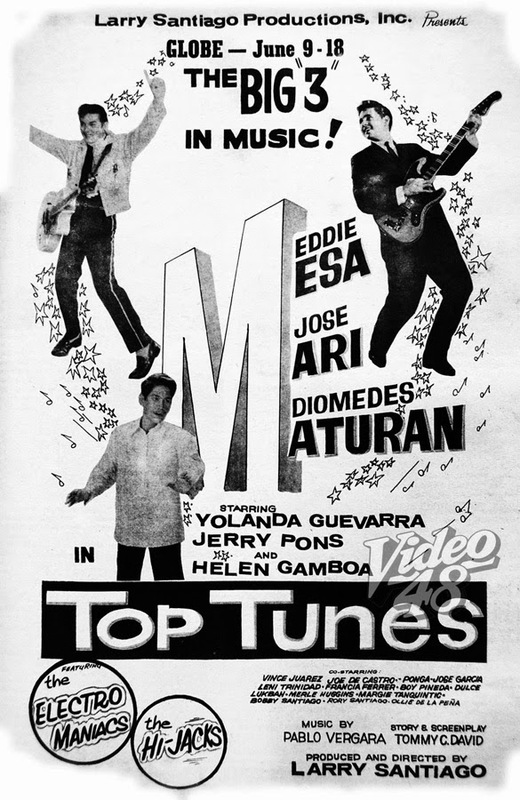 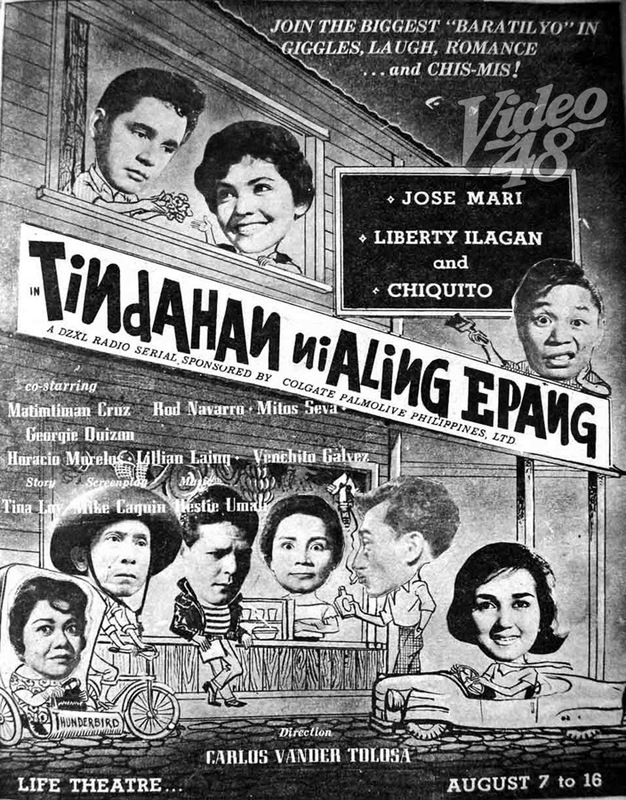 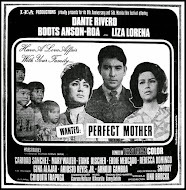 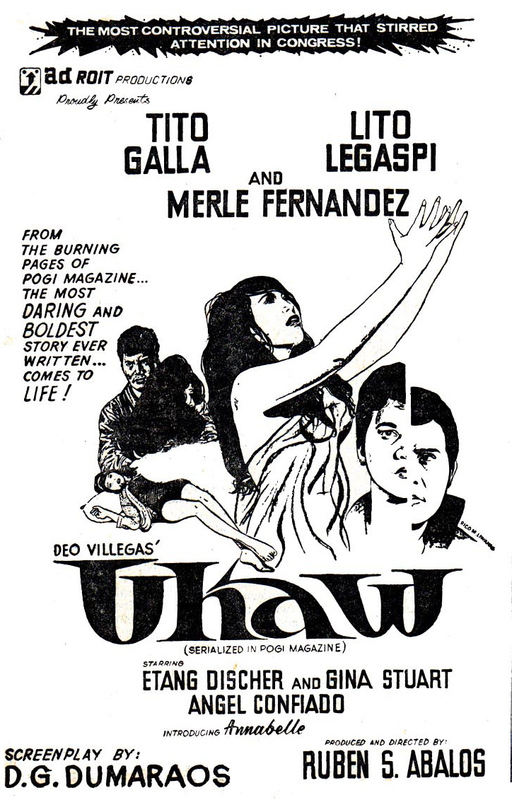 The movie, "Tindahan ni Aling Epang" was based from the popular DZXL radio serial and starred Jose Mari and Liberty Ilagan. 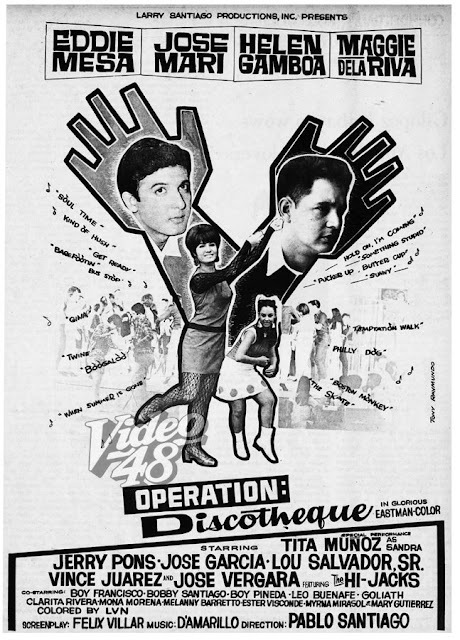 Released thru V-P Enterprises, Inc. 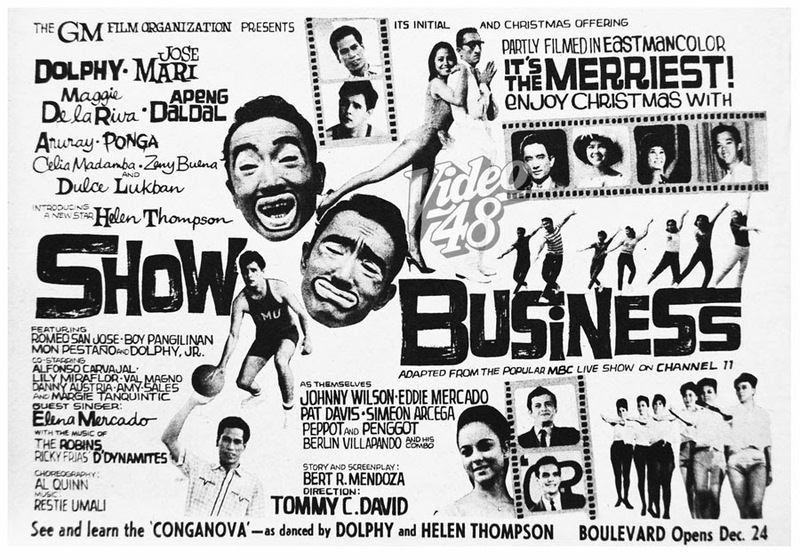 Released thru VP Enterprises, Inc. 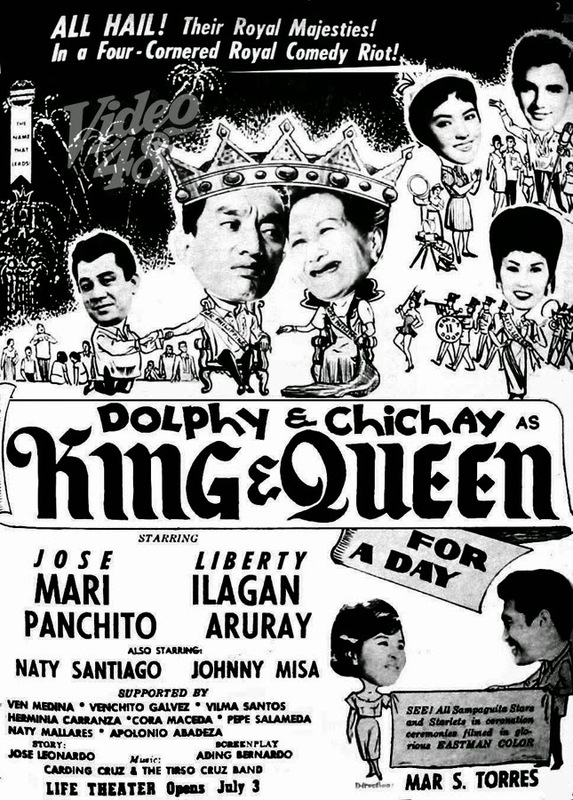 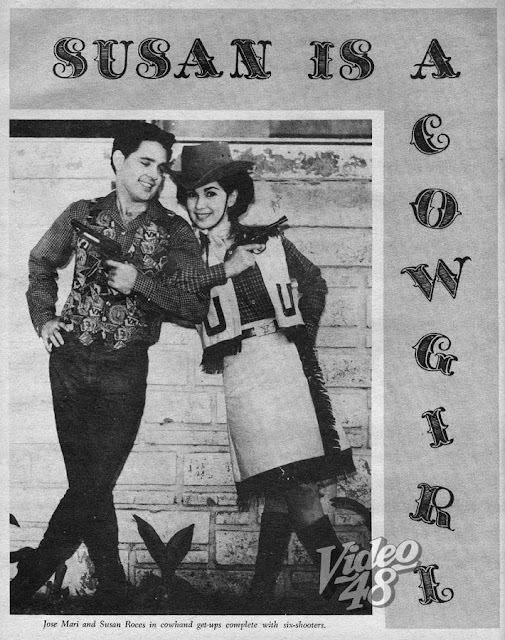 Cast Juvy Cachola and Bert LeRoy, Jr.